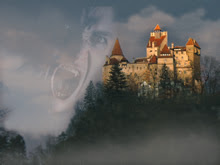 Put your troubles aside and venture into Transylvania, a place known not only for the Dark Prince – Dracula but also for its stunning scenery and terrific places. Transylvania and the Carpathian Mountains are the very best parts of Romania. The adventure starts in the city of Cluj Napoca, one of Transylvania’s largest urban centers, a city with an outstanding medieval atmosphere, one of the oldest settlements in Transylvania. From here venture into the heart of the county, enjoying rides trough picturesque villages, breathtaking scenery and important cultural centres, a great opportunity to experience new places, the excitement of the ride, the camaraderie of the fellow riders and to shake hands with the local riders. This motorcycle experience is designed for riders who enjoy the adventure and it includes rides on paved roads and small sections of gravel roads. We reccommend the BMW motorcycles – the GS range that can handle the sections of gravel roads easily. You'll have the opportunity to ride and conquer some of the best motorcycle roads in Eastern Europe, winding mountains roads, hair pin curves and finally reach the top where you will get our reward – remember to breathe – the view is spectacular. The most crooked and challenging of Europe's roads for motorcyclists is called the Transfaragasan (Transfagarasan Pass – 2042m above sea level). Built between 1970 and 1974 as a military route, by communist dictator Nicolae Ceausescu (after the Soviet invasion of Cehoslovakia in 1968) it snakes up the tallest peaks of the Carpathians. Due to the high altitude the road is open only 3 months per year and you can find walls of snow on the side of the road even in July. Experience the thrill of the mountain winding roads and breathtaking views on Romania’s highest mountain road – Transalpina (2 145m above sea level). You will ride your motorcycle to the clouds on one of the most spectacular roads of the Carpathian Mountains. Called The King's Road by the locals, Transalpina was built under the rule of King Carol II of Romania and rebuilt during World War II by German troops. Cross Hells Throat in Bicazului Gorges – one of the most spectacular gorges in Romania. The canyon was dug by the waters of Bicaz River and it offers a spectacular ride on winding roads right trough the canyon. Make sure not to miss Sunset Mountains while riding trough Transylvania. Admire the extraordinary scenery the mountains offer and visit one of the many caves these mountains are hiding – Scarisoara Glacier Cave, the biggest cave of this kind in Romania, with a mass of ice of 75.000 mc. These fantastic motorcycle rides will be completed by visiting some of the most famous tourist attractions of the region: Bran Castle also known as Dracula Castle and Peles Palace – legendary castles in Transylvania with plenty of good stories and photo oportunities; Sighisoara Medieval Citadel one of Europe’s most beautiful and inhabited fortified cities with a UNESCO World Heritage status. There are plenty of hotel accommodations in Romania, meant not only to provide you with all the comfort but also to introduce you to the local culture and capture the specificity of the visited area. The staff is welcoming and the food absolutely delicious. Don’t forget to try the famous mititei, a sort of mini sausages perfect if grilled, served with mustard and washed down with the refreshing local beer. You will discover that even closed up for a period of time from the western market, the Romanians love to ride the 2 wheel marvels. Plenty of English is spoken and you will find that the people are friendly and open. Once you realize the price of good beer and wine you will probably not want to return to your country.